For ease of use and increased durability we simplified the interfacing on the C-one™ earbuds to a single button and a single LED indicator. No accidental triggering of unwanted calls or functions by swiping close to the earbuds shall spoil your fun with C-one™. 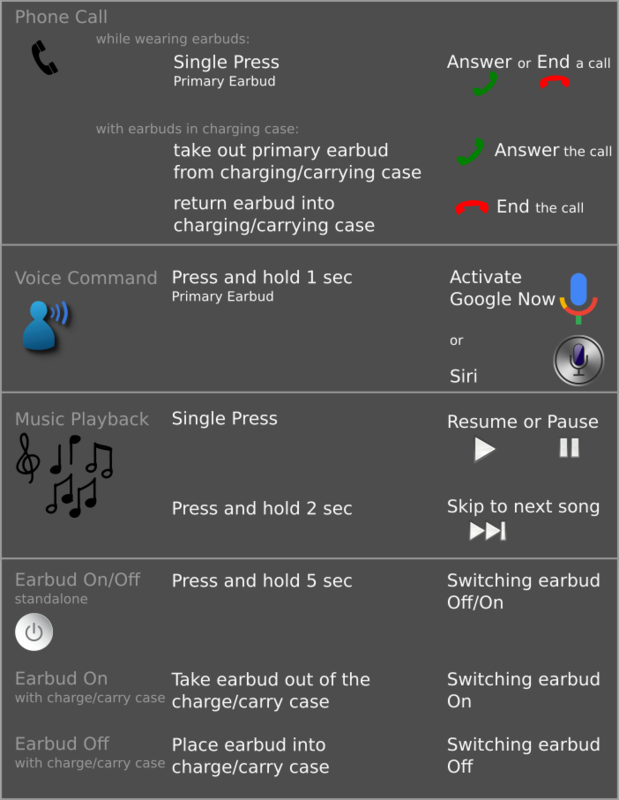 Primary Earbud refers to the earbud you used for the Bluetooth® pairing with your device. You have your individual preference which ear you use for your primary earbud and that is good. Just like with skateboarding or snowboarding, some people go left foot in front (normal stance) and some prefer goofy-style. We don’t want you to adapt to your headset, no, we want you to feel comfortable and let the headset adapt to you. You choose if your primary earbud is for your right ear or your left ear. Everything else follows naturally. 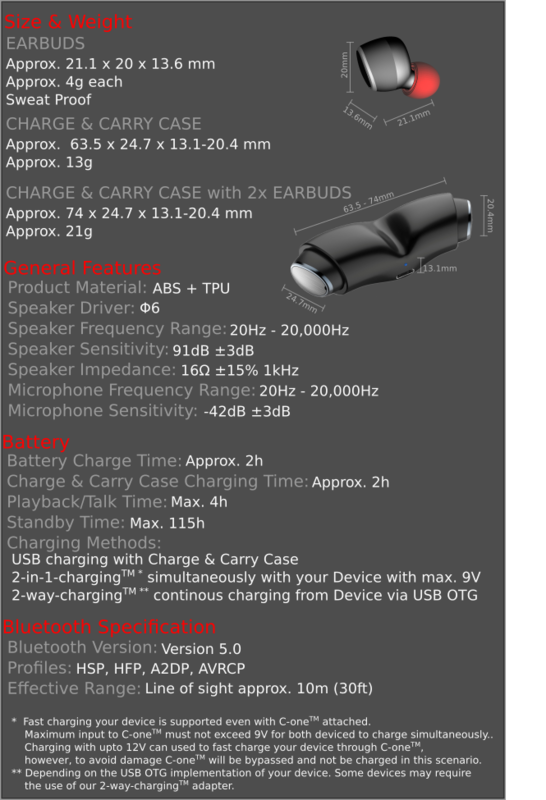 C-one™, the new always-with-you and easy-to-charge wireless headset. Note: all shown images either picture a C-one™ prototype or contain 3D rendered graphics..